Boxed set covering the two major empires in the Mystara setting: Thyatis- a Roman analogue- and Alphatia- ruled by wizards. The largest product in the gazetteer series oddly isn’t given a Gazetteer designation. I don’t know why that bothers me so much, perhaps I hate that it breaks the symmetry of the series. Dawn of the Emperors, or as I will sometimes call it in this review DotE, came out between Ethengar and The Shadow Elves, I think. It represents the apex of the Mystara series. There will be gazetteer-style material in Champions of Mystara: Heroes of the Princess Ark, but that leaves you wishing they’d actually done it in the same form. The Savage Baronies draws from Mystara, but really feels like a vastly different world. And what about the spectacular boxed revisions to Karameikos and Glantri for AD&D 2e, post-Wrath of the Immortals? I’m not going to review those. I own them. I’ve read them, but I they blow up many of my favorite Mystaran elements. In a recent interview on the Save or Die podcast, Bruce Heard expressed a regret about the gazetteer. He wished that that he’d been able to split up and publish the two parts of Dawn of the Emperors separately. I see some of the logic for putting the two together. They have closely related histories and this approach avoids rules duplication. However you’re dealing with the two largest empires in the setting- each with multiple nations the size of those presented in the earlier gazetteers. So you end up with vast ranges, and then you make them even larger and more diluted by putting them together. That approach risks losing the unique identities of both regions. Dividing those would have made stronger products- giving both room to develop. It’s even more complicated for me, as purely a reader of the gazetteers. I’ve only seen the two empires in passing, through the lens of the previous volumes. Because I never picked up the other D&D materials, I lacked an overview of the world as a whole. All of my sense of Thyatis and Alphatia came from their interactions with the Known World nations. When I picked this set up it completely threw me. I'd assembled a different sense of these two- picturing them as smaller, less powerful and perhaps even things of the past- decadent and failing. Instead they represent the two most important forces in the world. It's like trying to put together a version of world history by just reading the local histories of Finland, Mali, Peru and Laos. The Good: The Dawn of the Emperors’ box contains three booklets- two saddle stapled 32-page player’s booklets and one mammoth 128-page DM’s guide. They follow the classic Gazetteer layout- three columns, high on material without feeling overly dense. Clyde Caldwell offers a riff on ancient Rome for the cover, and Stephen Fabian returns to handle the internal art throughout all of the books. The best of those images are amazing, and some of my favorites from the series as whole. The two double-sided poster maps enclosed cover a massive range. We get individual maps of both empires- with several inset images on the Thyatian map. The Isle of Dawn, central battleground of the empires, gets its own map. Players will likely find most interesting the larger-scale map depicting both Empires together, plus the important territories outside their borders. It gives a sense of just how small the nations depicted in the rest of the gazetteers are- they’re marked out on the map but don’t have room for labels identifying them. Most importantly, Aaron Allston returns to the series with this product. He’s a veteran and skilled writer and he makes the book a pleasure to read. He focuses on playable material- and ideas which the GM can play with. Even when presenting optional or new rules, he strikes an inviting and conversational tone. 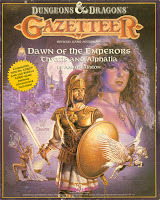 There’s a little irony in the choice of Allston; he wrote the first gazetteer (GAZ1: The Grand Duchy of Karameikos) which still feels like the smallest scale and most intimate sourcebook. Now he’s handling the largest and most wide-ranging product. Of course he’d set up Thyatian elements in that earlier supplement, so it makes perfect sense. He’s also a contributor to some of the other most significant Mystara-related products: Rules Cyclopedia, Hollow World and Wrath of the Immortals. The Bad and the Meh: Some strange problems pop up in this set. The box itself is one of those lightweight early TSR contraptions, easily crushed and bent. More seriously, several editorial and production mistakes show up throughout. I usually don’t mention proofreading errors, but they happen enough here to bother me. Beyond the standard dropped or wrong word, there’s page references to maps which don’t exist. The player’s booklets have the wrong watermarks (the Alphatian symbol appears in the Thyatian booklet and vice versa). The joke name of 'Trollhattan' from GAZ10: The Orcs of Thar gets reused as an Alphatian region. Color maps are reproduced in greyscale losing detail and legibility; most of them are useless for reading. The artwork in the DM’s book is printed with a purple ink which washes out the detail and looks faded, a real loss given how great some of it is. However some of the Fabian artwork looks out of place- like it might not be associated with the right culture. With the scale of the material being handled, it is hard to establish a clear visual style for either of the two empires. But at least one double-page image looks like it should have gone in the Ethengar book- it has no connection to the material around it. Finally, the two player’s booklets have loose cardstock covers. This is probably a point of personal preference, but I’d like to have seen the blank interiors used for something. Having covers not actually stapled to their contents feels weird in this case. Though labeled as Books Two and Three, The Player’s Guides should be read before the DM’s Sourcebook. The latter concentrates on fleshing out and expanding the material in the former. Thyatis is a vast empire, build on sword-edge and steel rather than magic. Thyatis borrows heavily from the Roman Empire, but more thematically than some of the other gazetteers. For example GAZ2: The Emirates of Ylaruam and GAZ7: The Northern Reaches lift very directly from the original cultures, adding in a few fantastic details and shaping them to fit with the world. Thyatis, on the other hand, creates a Roman-like Empire and paints it with some of the most interesting features- it feels Roman, without simply being a fantasy version of Ancient Rome. It dispenses with some of the Roman rules on authority and paternalism, the focus on ritual life, and the divine cult of the Emperor. Instead we have Roman cosmopolitanism, the barbarian frontier, the Senate, the arena, adoption of foreign ways, and the sense of classes. DotE's Thyatis is characterized by efficiency, an interesting trait and one DM’s can easily sell and present to the players. At the same time, they value martial prowess, both mundane and magical. The author adds a few other interesting ideas to mix things up. In particular I like the way it handles women warriors in a patriarchal society. The idea of “Running Away from Home” as a cultural institution first struck me as odd. But the more I read about it, the more interesting it became. I intend to lift that for a future campaign. Gamers with a historical bent may be bothered by some of the details- more modern approaches to economics and rights, the inconsistent of clothing designs. The booklet opens with four pages of history- necessarily thin given the range of area and time covered. Still it does an excellent job of setting the tone. It has to trace the general outlines of the empire, rather than the individual parts and regions. Since the booklet covers mainland Thyatis as well as the many conquered territories it speeds through, offering simple perspectives for the player. It manages this in twelve pages. That ought to be overly dense, but Allston keeps things snappy. It ought to be overwhelming, but instead it puts together an excellent and clear picture of the Empire as a whole. Individual details and areas will be fuzzy- but it gives a superb sense of how Thyatis is seen. Page 18 begins the section on character creation. Because of the range of the Thyatian Empire, players can choose almost anything, though some races will come from specific areas. The book doesn’t offer any region specific benefits or skills; that would have been a nice way of creating distinct characters. Instead there’s discussion of the different appearances and attitudes. The skill rules from the earlier gazetteers return here, with only a couple unique to the empire. Given how other supplements have been able to do quite a bit with those ideas, it would have been nice to see more. On the other hand, it does avoid rules and skill bloat. Two new classes are introduced. The first, the Forester essentially has a human playing the “Elf” class. The second, the Rake is simply a thief without pick-pockets or backstab. The idea is to have a “swashbuckler” class who can be trusted by the party. That’s a little weak- and it would have been nice to see at least a modest new ability for giving up those thief aspects. The booklet ends with a miscellany of new ideas. It introduces the idea of Fighting orders. These have some background and offer modest non-com benefits paired with some requirements and problems. This model could easily be broadened to other areas. Material on flying mounts and fighters complements new rules in the DM book (I’ll get to that). Finally the book offers four pages of optional rules- including a system for discarding armor AC as a target and replacing it with damage reduction. DM’s will have to look carefully at all of these concepts. Where the Thyatians focus on muscle and efficiency, Alphatia focuses on magic and independence. Any magocratic empire has to be considered against the earlier wondrous gazetteer GAZ3: The Principalities of Glantri. My worry was that they’d take the same approaches. But Allston’s Alphatia feels unique and coherent. Where Glantri has a diverse cast of families in a confederation of equals, Alphatia definitely has a purpose and direction. Yet at the same time it struggles against the arrogance and desire for independence common among mages. The nobles of Alphatia possess great power and know it- that makes them difficult to unify and direct. Like Thyatian efficiency, this concepts serves as an easily pitchable concept that helps the culture make sense. Character creation, as you might imagine, focuses on magic-users. Not that players have to be mages if they come from Alphatia, but they will have a more difficult life. The add-ons for Alphatian MU characters boils down to four pages of new spells (14 in all). Some new skills unique to Alphatia appear, complementing the skill system presented in the Thyatis book. The last six pages of the rules present a system for the creation of magic items. 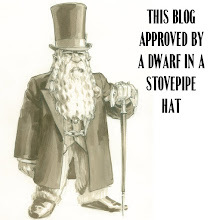 This material appeared earlier in the Glantri and GAZ6: The Dwarves of Rockhome books, but the author’s cleaned it up and made minor changes. After a brief overview, the perfect-bound 128 page Dungeon Master’s Sourcebook begins with Thyatis. Two pages comment on the history presented in the Player’s Guide, offering a few secrets and revelations. Another two-page timeline consolidates events for both Thyatis and Alphatia. Pages 8-22 provide an Atlas of the Thyatian Empire. Each county, baronry & so on get a brief entry establishing population, description, customs, sites, personalities, etc. Most entries range from a half to full column long, and most have additional city or site entries of the same length. Some longer entries cover important areas such as the capitol of Thyatis City. The entries usually offer one or two interesting details, including some adventure seeds. But they’re necessarily brief. This is a whirlwind overview of the region, dedicated to offering the most essential character. Frankly, it left me wanting more- especially compared to the depth offered in previous supplements. I like what’s here and that’s part of the problem. It could have been even better. Next, nine pages cover the NPCs of Thyatis City. Since they can’t reasonably cover characters from across the Empire, the book wisely chooses to focus on the largest city. I always appreciate a good NPC section and this one doesn’t disappoint. The backgrounds help flesh out more of the history, current events and plots. The personality and DMing notes add dimension and suggest a number of connections and adventures. Space is given over to combat notes and equipment; those could have been cut or reduced to make way for more characters. Finally seven pages cover ideas for campaigning in Thyatis. Excellent and useful as always, this section includes a discussion of treachery in the campaign. Intrigue and betrayal can be central to Thyatian (or Alphatian) campaigns. This material discusses the perils and pitfalls of handling that- especially how to match that to the player’s expectations- and tolerances. Alphatia gets covered in much the same way next.. Amusingly, the history offered in the player’s booklet is pretty much exactly what’s gone on. Unlike the Thyatians, the Alphatians are open about the good and bad of their past. Ten pages present the same limited Atlas overviews as in the previous section. Only six pages of NPCs (from the capitol of Sundsvall) appear. That’s followed by three pages on new monsters and two pages on campaigning in Alphatia. Again, the material’s excellent and well-written. It presents many cool hooks for a potential DM, but at the same time feels like just a start. The next major section (61-82) covers all of the other territories, areas dominated by one of the two empires, but not necessarily the homeland. This includes a number of maps- some of them reproduced from the larger maps (usually badly) and some new. These areas include the Alatians, Bellissaria, The Hinterlands, Norwold, Ochalea, Pearl islands, Qeohdar, and The Yannivey Chain. Each region gets 1-2 pages. The all-important crossroads of the Isle of Dawn has a longer entry. Each presents some background, culture and geography notes. More usefully, it presents ideas for campaign use and a brief write-up of at least one NPC. I enjoyed this section and I wish the earlier regional entries had been done at this level of detail. Finally the book wraps up with ideas for campaigns and adventures. Almost eight pages cover aerial monsters, maneuvers, and fighting. These present a robust set of options for DMs who want to play with flying ships and the like. A reprint of the "Sea Machine" naval warfare options follows. There’s an interesting optional concept presented as well- removing resurrection magic of any kind from the campaign setting. I would love to have seen more of this kind of discussion. Changing or removing a basic concept could make a whole new world. Alternate Mystaras would be worth exploring, suited to different DM styles. Adventures follow next, with an extensive low-level Thyatian campaign outline and several different adventure seeds. The Alphatian campaign mirrors that one, also followed by a number of unique adventure ideas broken down by level range (Basic, Companion, etc). Two cross-Imperial adventure seeds finish that out. Several appendices appear at the end: additional cost listings; typical spell outlays for NPCs depending on level & situation; more flying monster rules; adapting the gazetteers to 2e AD&D; diagram of a skyship; and various blank and filled in record sheets. These last bits take up ten pages and feel a little bit like filler. Dawn of the Emperors has something for everyone. Unfortunately, you may only get a taste of what you want. There’s a lot to like here. I especially appreciate the current set up of both Empires. For example, the relatively recent ascent to the throne of Thyatis by a former gladiator presents a crossroads. Wed to the daughter of the late Emperor, how will this figure shape the future of the Empire. Will it shift to become more of a Republic? Will it maintain the middle path between Emperor and Senate? Or will it move to a more absolute despotism? The history of ancient Rome offers many interesting parallels and I can imagine many different Thyatian Empires depending on the DM. Allston manages to keep either empire from obviously being the Evil with a capital E. Alphatia, at least on the surface, more obviously leans that way, but it remains incredibly subjective. DotE continually complicates easy judgments. As a reader, I want to see more of that. I want to know more about both Empires- but given the space we can’t reasonably get that. The actual workings of the Imperial administrations and how things operate on the ground could have been much more fully developed. Some material could have been cut (the poorly duplicated maps, some of the rules reprints, the record sheets) in favor of more substance. Despite that I really enjoyed reading this. Mystaran DM will find more ideas here than they could possibly bring to the table. Other GM’s will find some great concepts, but not at the level of depth of past entries. 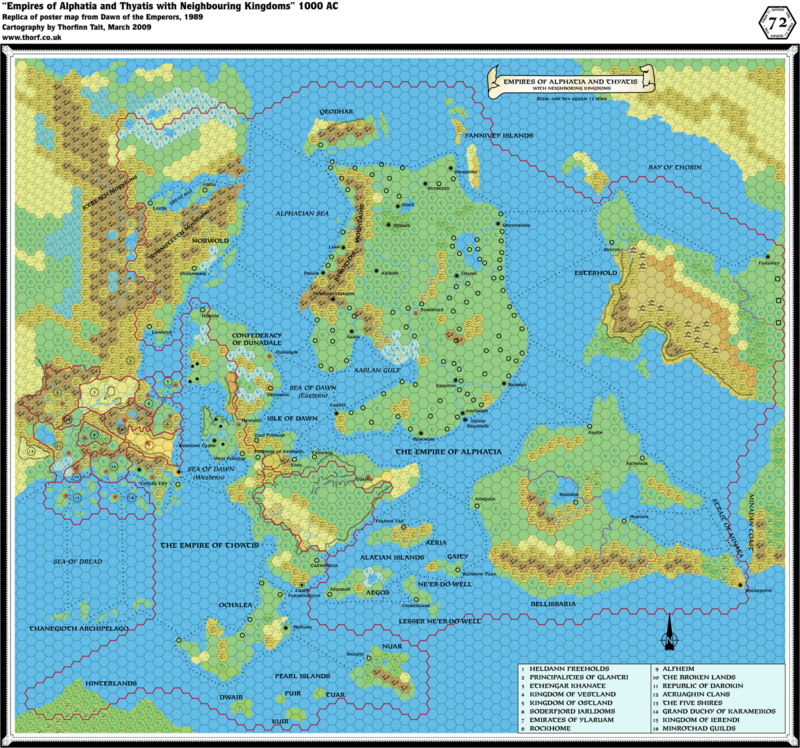 The map of the Empires is taken from the excellent Mystaran map resource at mystara.thorf.co.uk. I have a few of these gazetteers and played in this world. I absolutely loved them. I still think Basic D&D as the best version ever made. AD&D made all the characters and classes too generic. Everyone I knew preferred Basic but wouldn't play it because the name implied you needed to ride on the short bus whereas just being able to find a relevant rule in the AD&D DM's guide implied some kind of game mastery. Thanks for your post it brought back some good memories. I'd like to take the opportunity at this point in the retrospective to point out how excited I was when this product came out. The most annoying thing happened not long after (as it often does). 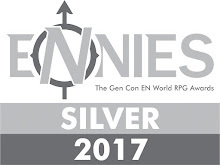 As I believe is mentioned above, the world gets blown up and you can throw out a considerable portion of a creative, awe-inspiring world setting that you had come to love and hadn't yet exhausted even the published ideas, let alone what you and your players could've generated independently. My request being, please don't advance the timeline of a published campaign setting. That's what my players and I do. The baseline should remain the same. I bought into a product line because I liked what was presented. If you change it up, you risk alienating the customers you've already won over. Your mention in passing of the optional "no-resurrection" rule got me thinking; a better approach might be to keep it, but put penalties in place for failure to roleplay the fact that the character DIED and came back! Did they see Mystara's heaven or hell? Did they meet the immortal they serve? Were they harrowed by the enemies they slew or solaced by long-gone allies and loved ones (the player's previous characters?)? Are they happy to be back or were they at peace? Assorted horror movies also suggest assorted campaign hooks. Did they come back with knowledge of a coming horror they must somehow prevent or live with? Did SOMETHING come back with them . . . ? This last suggests a means of restoring the balance from too-easy resurrection. I agree, the Mystara I have in my mind is that of the gazetteers, rather than the later post-Wrath of the Immortals material. I think it would be pretty easy to flesh out the interesting areas from the various Empires with fan-gazetteers. I'm always amazed at the Mystara sites out there where people have charted their campaigns. I hadn't considered that- the implications of resurrection. I've kept resurrection out of my ongoing fantasy campaign world. In twenty years of play, I think we've had a handful of people brought back from the dead- and half of those were NPCs, and it was often tied to massive undertakings. But I hadn't really considered raises with consequences...that's a good idea.